In addition to the Eiji Aonuma commentary video we posted earlier, the Japanese YouTube channel also got an extended trailer of Majora’s Mask 3D, showcasing many of the games characters, as well as the various masks that appear in the game. It also gives a look at the Bomber’s Notebook and some of the new map features that appear in the game. Lastly, we can now confirm that Sheikah Stones will appear in the game. 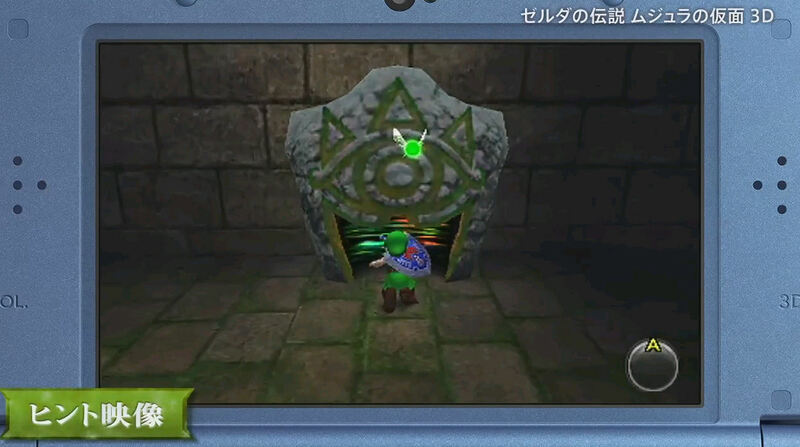 Much like in Ocarina of Time 3D, if Link is stuck during his quest, he can enter one of these Sheikah Stones and get a visual hint on where he needs to go next. Go ahead and make the jump to watch the video.